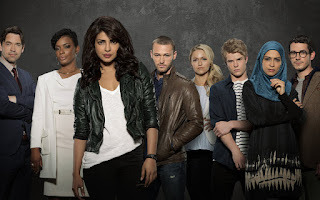 WPC News Desk: The piggy chop fans have re-invented the actor in a whole new avatar in the recently launched American television series Quantico. Priyanka Chopra has already impressed a large chunk of international audience by the promo of the big budget series. Some scintillating clippings of Chopra from the trailer of the series have already gone viral. Chopra has surprised all with her pure US accent and a ‘comfortable’ performance in some ‘open’ scenes. However, some of those scenes have been already edited and they would be no longer feature the main telecast. Chopra, in reaction, told the media about her embarrassment in doing such scenes in front of a large crew. But the audience could not discover a single sing of discomfort on her face while watching those. The Indian actor also shared that doing 'those scenes' was a real challenge for her. She wanted to complete those as quick as possible.